Antioxidants are a powerful component to human function and their presence in the human body is vital to maintain a healthy and thriving body. Vitamins A, C, E, selenium, zinc, glutathione and many more are lauded for their antioxidant properties. They all have the ability to inhibit the oxidation of other molecules by extinguishing free radicals. In essence, antioxidants prevent other molecules from rusting. Oxidation is potentially the biggest concern in the body when it comes to health and longevity. When researchers discovered the role antioxidants play in the body, the following conclusion came to be: if antioxidants are necessary in the body to inhibit cell damage, the answer to preventing cell damage is to provide the body with antioxidants. Makes sense, right? As usual with the body it isn’t that simple. What remains true is that antioxidants are major players in health. They are crucial to the body every second of every day and even more so under times of stress. What has evolved in antioxidant research is we now understand that our body’s internal production of antioxidants in response to a stressor is what really matters. When we eat plants of all different kinds (fruits, vegetables, coffee, tea, etc. 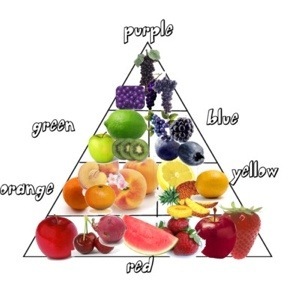 ), along with nutrients we ingest phytochemicals and toxins. These chemicals, mostly known as a group of compounds termed polyphenols (which are the plants’ defense system), stimulate the body’s internal antioxidant production and regulation. This is where the antioxidant benefit of eating plants arises. These polyphenols from plants are actually low level toxins to the human body. Eating moderate amounts of these creates a mild stress which challenges our defense system and subsequently makes us stronger and more efficient at dealing with toxins and oxidation. We benefit from eating plants not because they are good for us (i.e. providing antioxidants that extinguish our existing free radical damage), we benefit from eating plants because they are bad for us (expose us to mild toxins that strengthen our ability to manage and extinguish free radicals internally). Think of it as strength training our internal antioxidant system. A blueberry is like a set of pushups, spinach is like pullups and green tea like squats. By eating plants containing antioxidants we challenge the body. We encounter these polyphenols, subdue and conquer them, then recover. As a result of this toxin workout, we get better and more efficient at inhibiting oxidation in our body. This is why people who eat things like fresh fruits, vegetables and dark chocolate and drink things like tea, coffee and wine usually have better health- their ability to subdue free radicals and manage oxidation has been perfected over years of practice. They are healthy because not because all the antioxidants they have eaten have magically quenched all their free radicals, they are healthy because all the antioxidants toxins they have eaten have trained and created a very robust internal antioxidant system. So let’s take a step back to the “rethinking antioxidants” level. Think about the following: If the body gets better at managing free radicals by eating the toxins found in plants, is it smart to give people doses of antioxidants (particularly in high concentrations and unfamiliar combinations) removed from the context of the food? This is likely not a good idea. What ends up happening is the more you give the body antioxidants the less work the body needs to do. Think of the use it or lose it principle. Just like any other system in the body, such as hormonal regulation, if we give the body what it should be producing and managing itself, it will result in the body becoming less effective at doing it on its own. Similar to the immune system, if we don’t challenge our antioxidant system with real food, it will weaken. So the more we provide the body with an external antioxidant load the more we down regulate our own ability to inhibit oxidation from within. This rethinking of antioxidants suggests that chronic antioxidant supplementation may indeed be harmful. The best approach? Teach your body how to manage its own free radicals by eating a moderate amount of different kinds of plants, not by relying on a bottle of resveratrol. 1. Antioxidants are crucial to health. 2. Plants are good for us because they’re bad for us. 3. The polyphenols/antioxidants found in plants challenge the body to make a more robust internal antioxidant system. 4. Supplemental antioxidants (particularly high doses) used on a regular basis will likely make your body less effective at regulating its own production. 5. Eating whole, real, fresh food is the key, not isolating the antioxidants. Thanks for reading, have a great antioxidant strengthening day!